Burson Cohn & Wolfe's new North America president spoke to PRWeek just after the historic merger of the two WPP PR firms as part of our Agency CEO Summit. Burson Cohn & Wolfe's Chris Foster is one of the most senior black PR pros in the agency world. NEW YORK: With his elevation to the role of president of North America at Burson Cohn & Wolfe this week, Chris Foster became one of the most senior black PR pros in the agency sector. 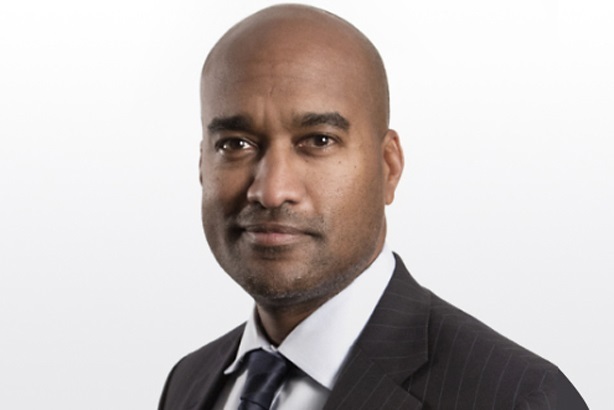 Foster was hired back to Burson in 2015 from management consultancy Booz Allen Hamilton to serve in the newly created role of worldwide EVP, adding chief business development officer to his responsibilities in March last year. This was his third spell at the WPP agency. From 2007 to 2010, he was an MD in, and subsequently chair of, the firm’s US healthcare practice; and from 1998 to 2001, Foster was a director in the healthcare practice. Following last week’s merger of Burson and Cohn & Wolfe to form a new entity led by CEO Donna Imperato, Foster was named North America president of the newly combined firm. He spoke to PRWeek last week as part of a wide-ranging discussion with PR agency CEOs, the full results of which will be published in PRWeek’s 2018 Agency Business Report. Here are some of Foster’s selected comments about encouraging diversity at all levels of the industry, especially on the agency side, and what PR can learn from management consultancies. What’s the secret to recruiting the best diverse young talent? The bar is incredibly high for recruiting entry level minority students at agencies. We’re looking for expertise and they may not have it. So we’re all trying to compete for the top talent at JMU [James Madison University] or Howard University or UCLA. By the way, if you’ve got the top talent P&G is also looking at them and so is Accenture and so is General Mills. So they’re less inclined to take your two dollars. There is a career model [at those companies] that specifically articulates development and training and investment in staff that we haven’t been able to articulate in our industry. [They'll say], "I’m going to put you in a six-week training program" before you even get a badge to enter the building. We need to reorient our thinking a bit, because we’re competing for top talent. How do we get more role models like yourself in senior positions within agencies? It’s an opportunity for me, but I’m only one person. I didn’t know how real it was until recently, that people do like to look up at the leadership and see people who look like them. That’s real. That’s a bit of a barrier. Again, you have top talent. The bar is incredibly high. I’m trying to make a decision between Burson, Havas, and P&G, and I look at P&G and see three of the presidents are people of color or diverse backgrounds and that’s going to inform my choice. This is a journey we’re on as an industry. I don’t think we’re failing. I think there’s work to be done. This is the same conversation I would have had back in 1997 when I first came to the agency [B-M]. I wasn’t recruited out of college. I had to work for five years before I got my first job here. I don’t think I would have been hired out of college because I didn’t have any experience. The bar was too high for me. But after being a lobbyist and learning communication as a trade I was an incredibly attractive prospect. I wasn’t hired to do PR. I was hired to do more consulting in the policy space. How does PR compare to the management consulting world? It’s radically different and here’s why. There’s such an investment in the development and the training of talent, not at moments in time but over the course of your career. There’s also no speculation around career progression. It’s very clear. There are very clearly articulated metrics. There is an incentive program that is reliable and a lot of that we don’t have. [At Booz Allen] I had a staff of 800 around the world. Everyone knew you come in at X level, in 18 months you’re going to get to Y, and here’s what I’m going to do to invest in you; here’s where I’m going to send you to get trained; and here’s an assigned mentor and I’m going to sponsor you. It was very clear. In a year they got X amount of salary and it happened and we delivered on the promise. That’s harder for us [in PR], but maybe it’s not, because that was also client driven. It was client advisory services. There’s a lot to learn from the management consulting firms. We have to take some gambles on talent as well and we have to train our folks. Discussions around diversity have been around for decades – how can we achieve real change? Those of us who have been around a lot know this is a little circular. What’s changed over the last 18 months is the buyers [clients] are now demanding it. It is in procurement. It’s in RFPs. They’re asking to see diversity, so there’s a forcing factor. As we all know, there’s been a national dialogue in the U.S., the U.K., and across Europe around diversity and inclusion and what that means, so it’s much more in the social consciousness of that. Our clients are wrestling in the technology sector and they’re making big bets on diversity and inclusion, so there are other factors forcing PR agencies to think, behave, and operate a little differently. I’d love to say it was all initiated by our wisdom and social consciousness, but I don’t agree with that. The world is changing and we are trying to, in some cases, catch up or pivot, but there are lots of market forces moving us in this direction of a more inclusive workforce and we have to run not walk.